Re-claimed douglas fir lumber, fabricated steel, water, video/sound loop. 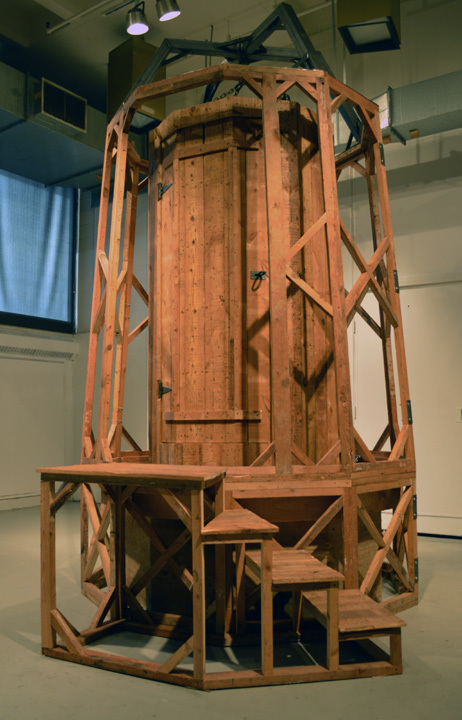 The Un-Named Mountain is an interactive sculpture dealing with a theme of a universal nostalgia; The water tower you would climb with your friends until you got caught, the hay wagon cloaked in blue tarp you fell off of, the abandoned house in the woods where you first kissed, the silo at your neighbors farm. 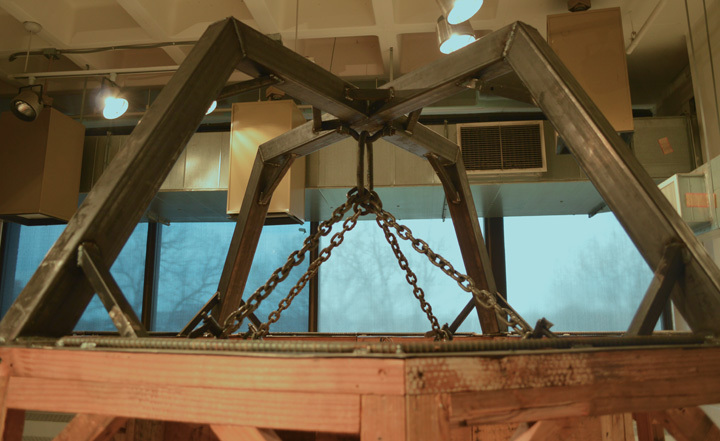 The viewer is drawn towards this ominous floating structure by its uncanny familiar-ness. Inside a video screen under the floorboards plays a loop of a stream behind the farm where I grew up while the sound of water fills the space and the structure moves over still water with your weight.